Welcome to Episode 8 of The Good Life Well Lived podcast where I am joined by Jess Baker. 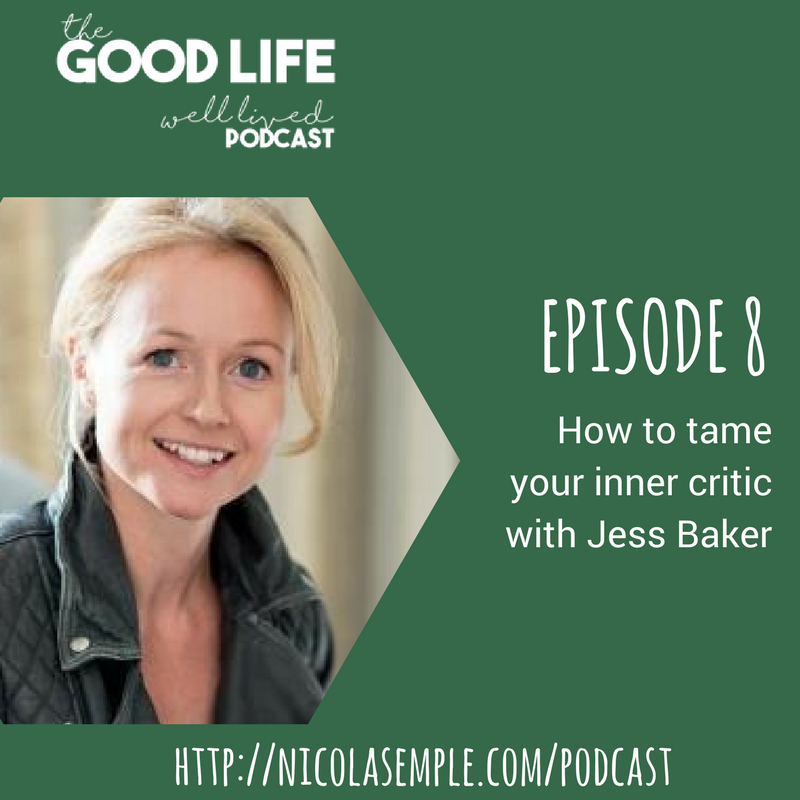 Jess is a Business Psychologist, Leadership Coach, creator of the Tame Your Inner Critic programme and in her spare time she dabbles in stand up comedy. I don’t know about you but my inner critic is an unwelcome companion that tends to put in an appearance when I least want it to. Jess shares some brilliant advice and techniques we can all use to put our inner critic in it’s place so that we can get on and do the things we want to do in our life.